I love weddings and always feel very privileged to be attending the weddings I film. It’s an honour that I aim to repay by doing whatever I can to make your wedding film the best it can possibly be. Having filmed scores of weddings over the past decade I feel I understand how they work, and how to be in the right place at the right time to get the perfect shots. I also appreciate that generally people hate having a camera pointing at them, so I keep in the background and film from a distance so people rarely even notice I am there. If you read through my testimonials you will see a recurring theme – “our guests didn’t even know you were there” – for me that’s the ultimate accolade. Martin Aust (Posterity Video Productions) is a fully qualified Master Member of the Institute of Videography (IOV). Established in 1985, the IOV is the leading trade association for professional videographers in the UK and Ireland. Each member agrees to act in accordance with a Code of Practice, and to strive to maintain the highest levels of production competence and professionalism in their work. To achieve Master Membership members will have passed a written exam to demonstrate a good understanding of video production techniques, and then submitted an example of their work for assessment by a panel of experts. The panel will assess various aspects of the production including Titles & Graphics, Camerawork & Lighting, Sound, Post Production and Overall Production Quality. If the panel find that the video is of a standard that reflects a common level of production competence (rated 70% or higher), Master Membership is awarded. Perhaps you are not sure if you want the most important day of your lives filmed at all. I speak to hundreds of couples at wedding fairs each year, and many of them tell me they don’t want a video, for various reasons. Here are 10 of the most common, along with some thoughts that may help you decide. 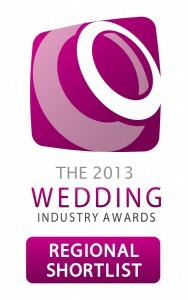 This year I was entered in the Wedding Industry Awards again, and reached the final 7 in the London and South East region, which is by far the largest and toughest region in the country. The awards are decided purely on the votes cast by the brides and grooms I have filmed during the year, and I am very thrilled to be able to show the average scores (out of 10) that they have given me for the various aspects of my service – thank you all so much for these scores, I am so pleased that you are so happy with my work! More comments can be found at in my testimonials section found here.